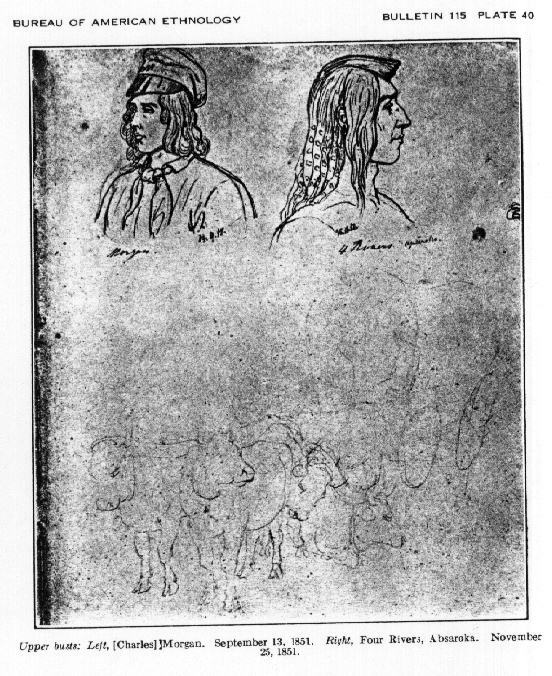 Rudolph Friederich Kurz was a noted Swiss artist who spent the years from 1846 to 1852 at the western trading posts of the great fur companies on the Mississippi and the upper Missouri Rivers. 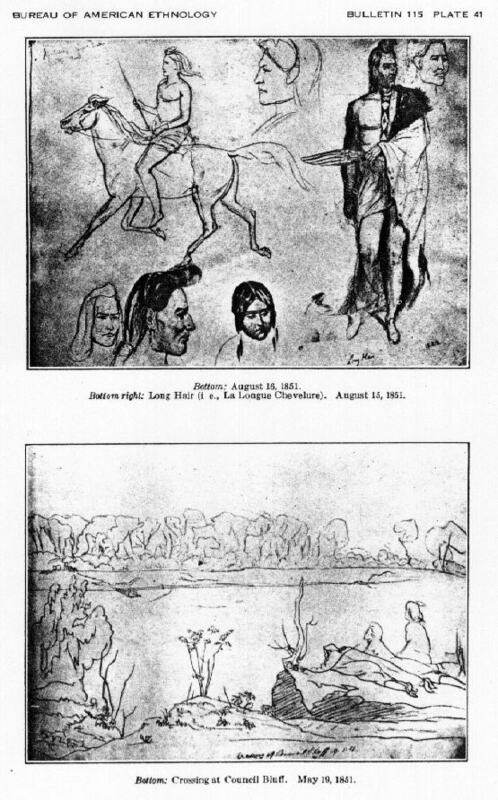 He recorded his experiences in his journal. 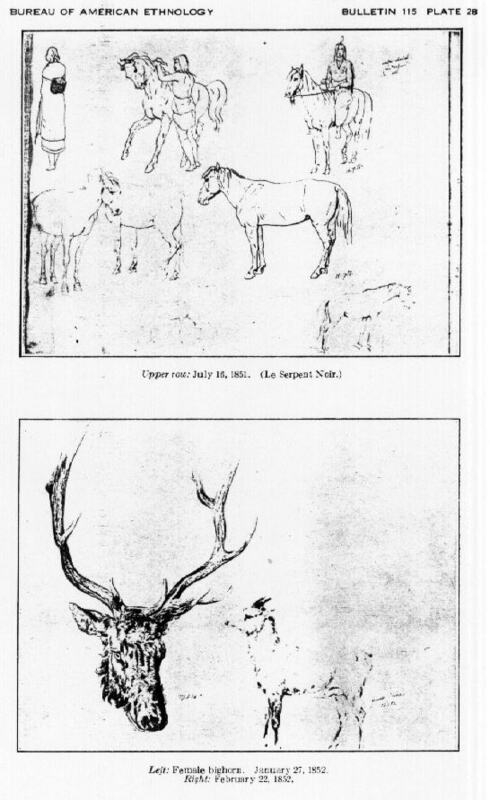 The original manuscript of the journal is in the Historical Museum in Bern, Switzerland. 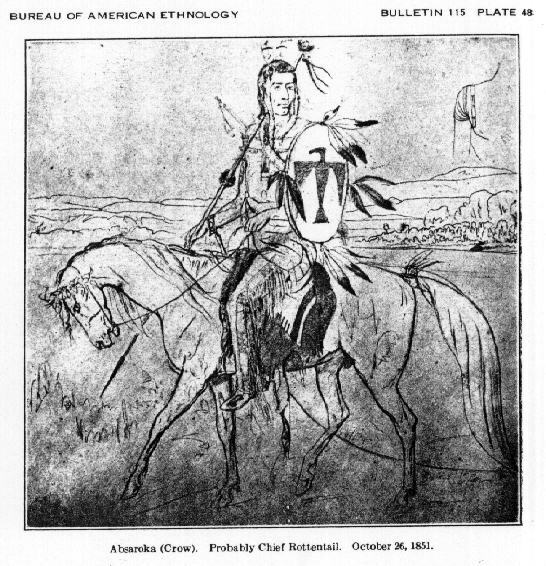 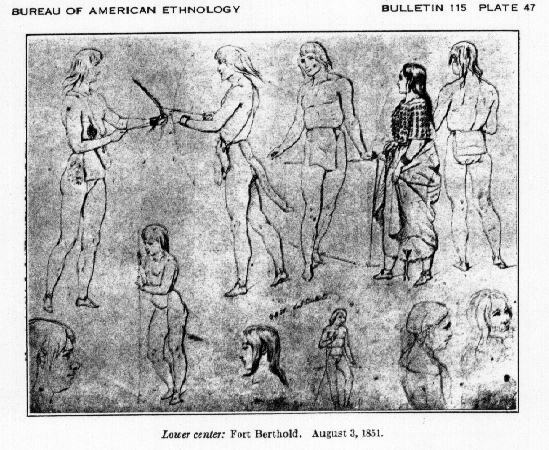 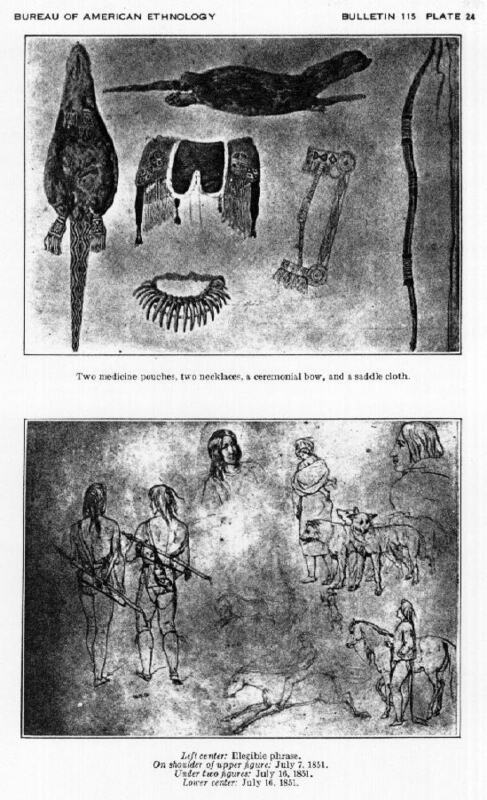 An English translation of the journal (originally in German) was published by the Smithsonian Institution Bureau of American Ethnology Bulletin 115 in 1937. 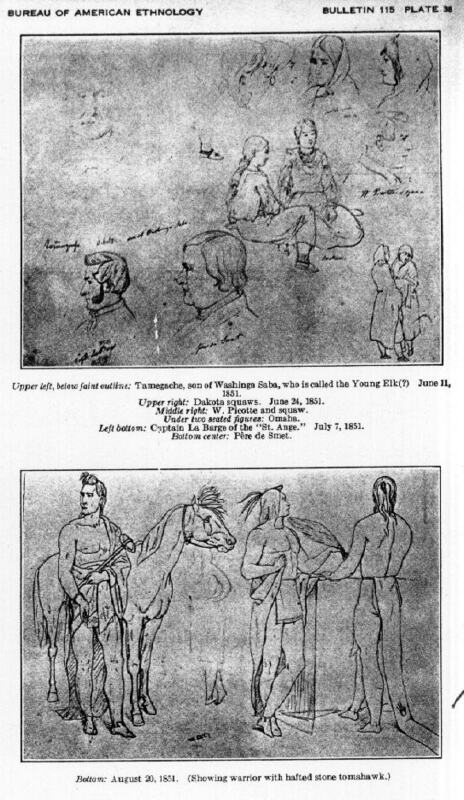 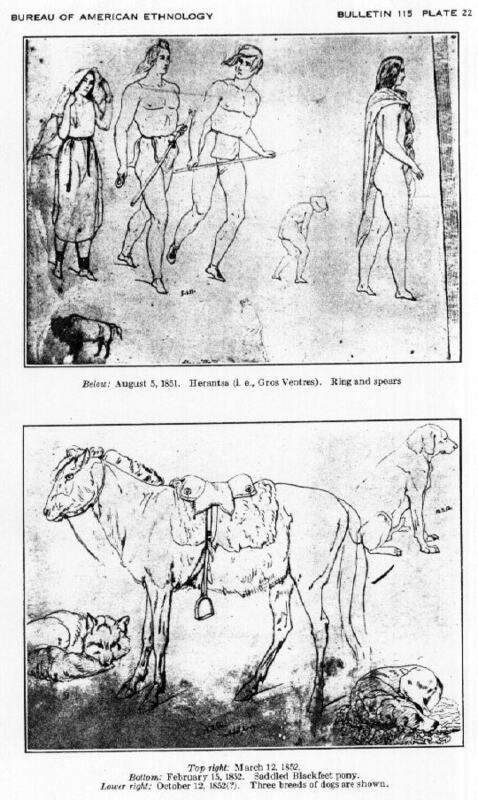 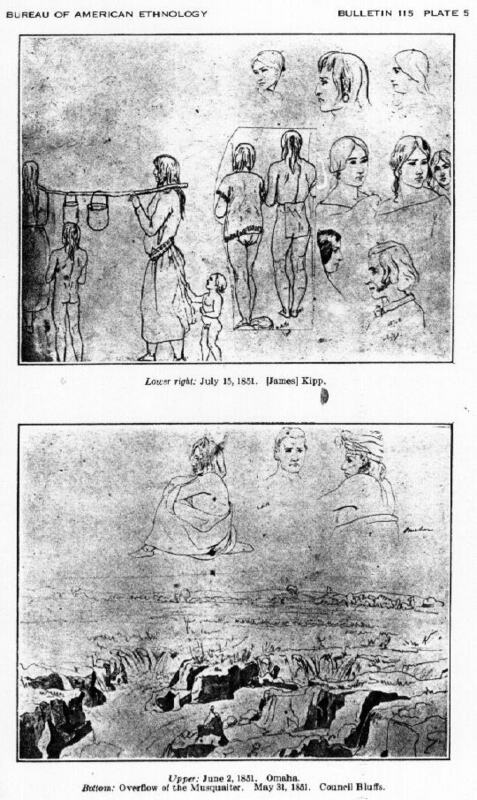 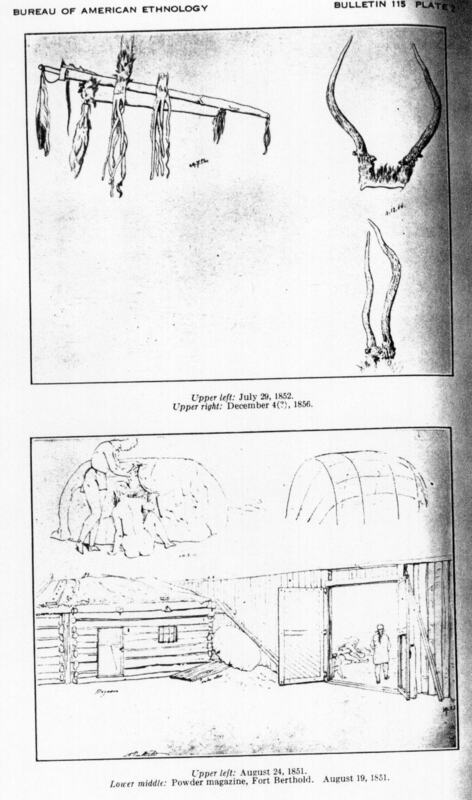 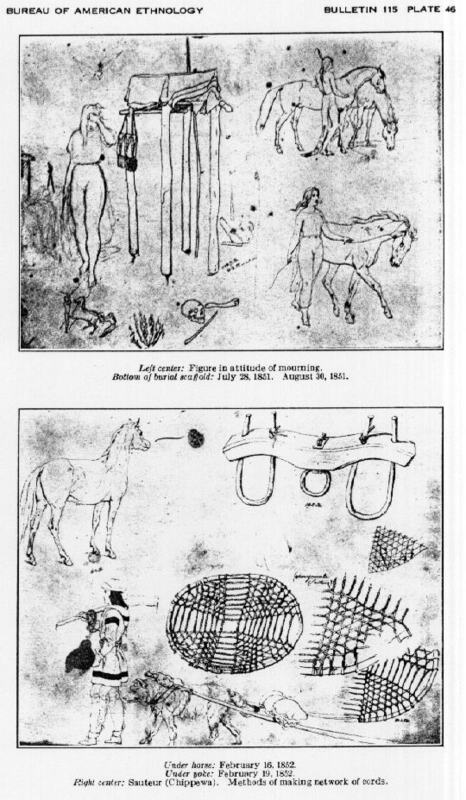 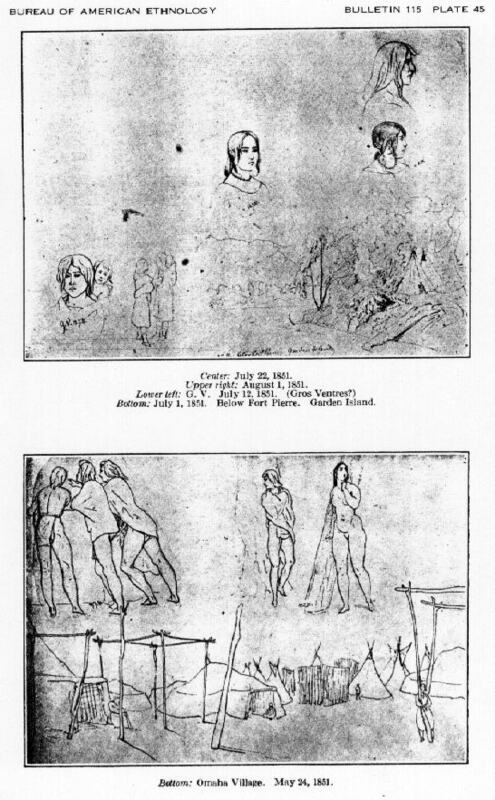 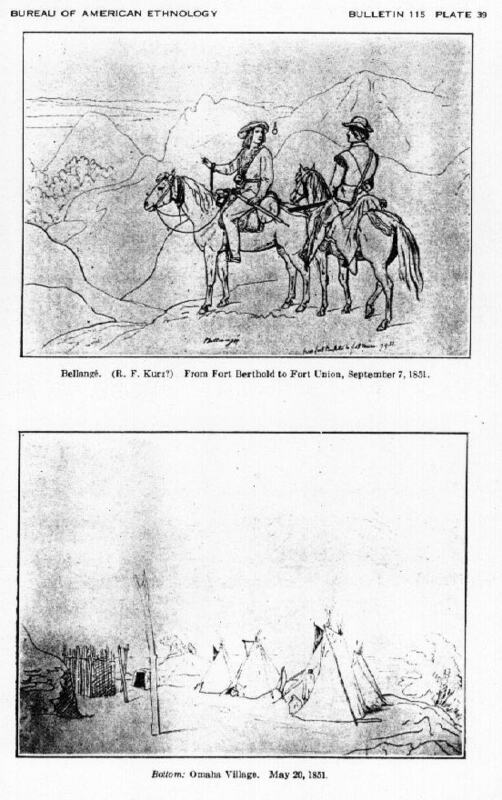 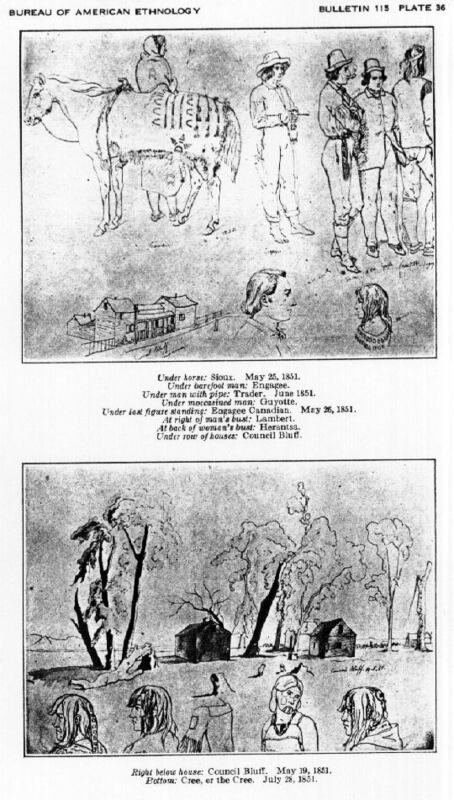 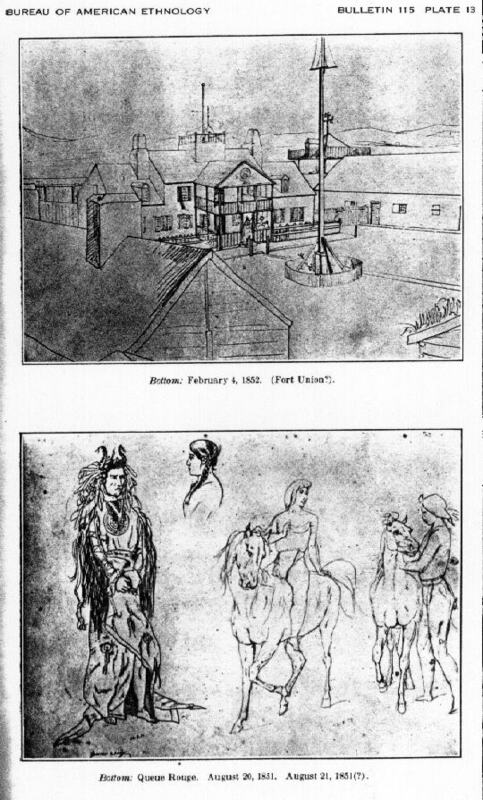 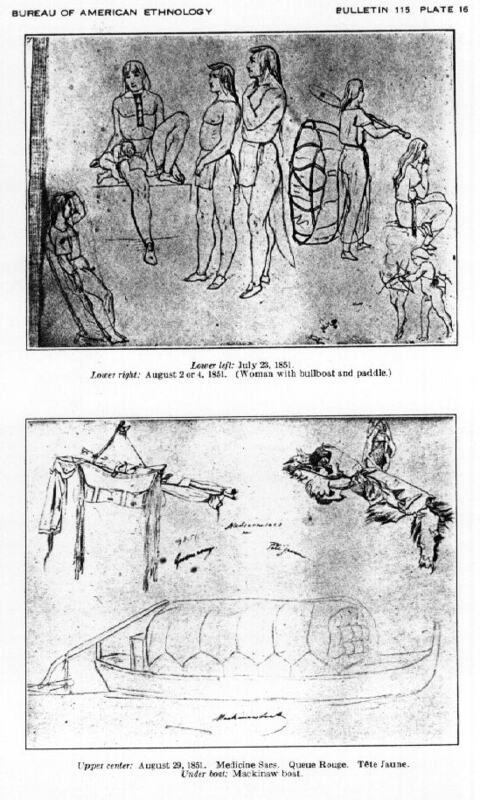 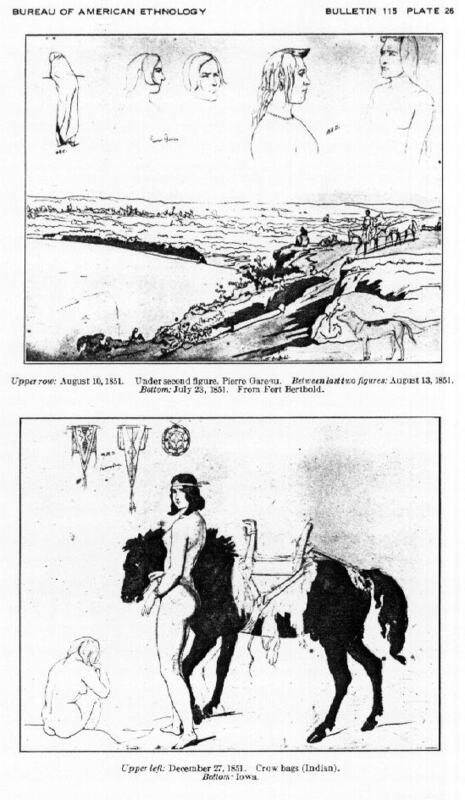 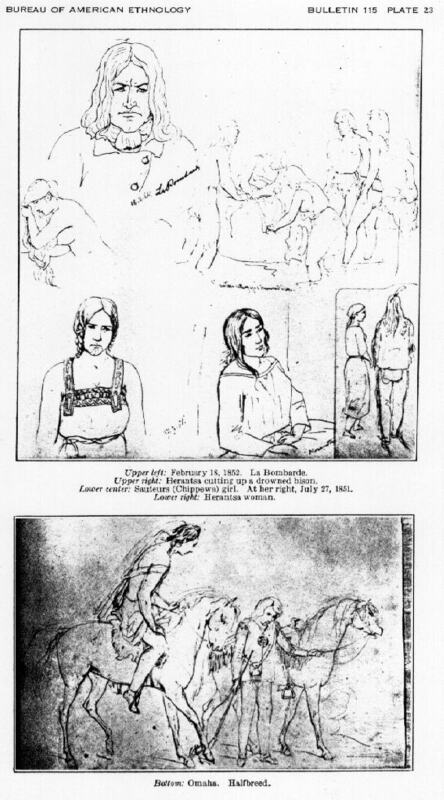 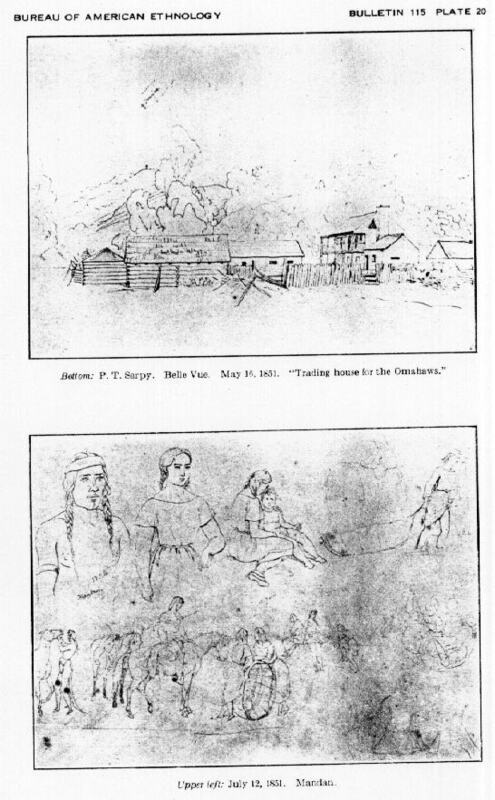 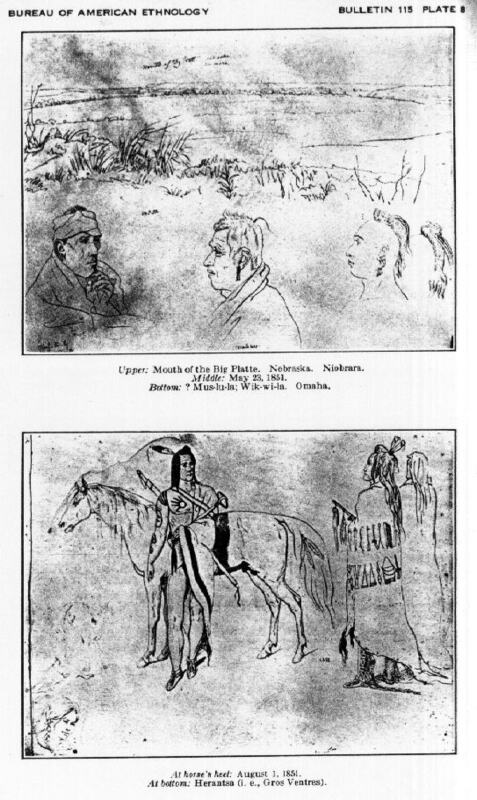 Kurz made numerous sketches in his journal along with the written narrative. 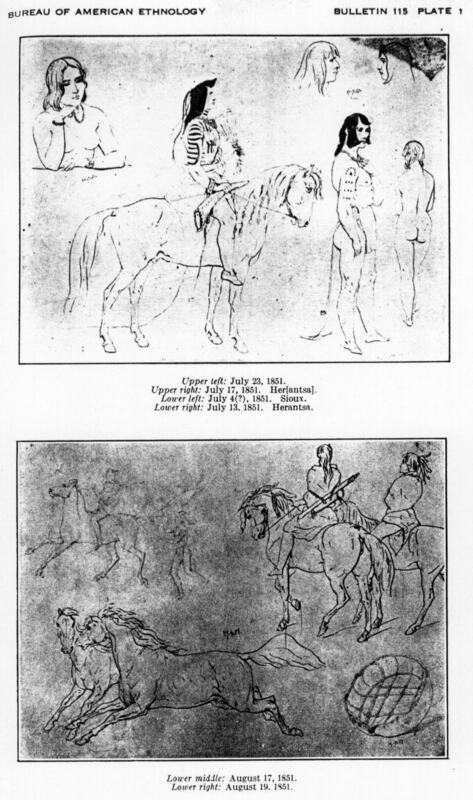 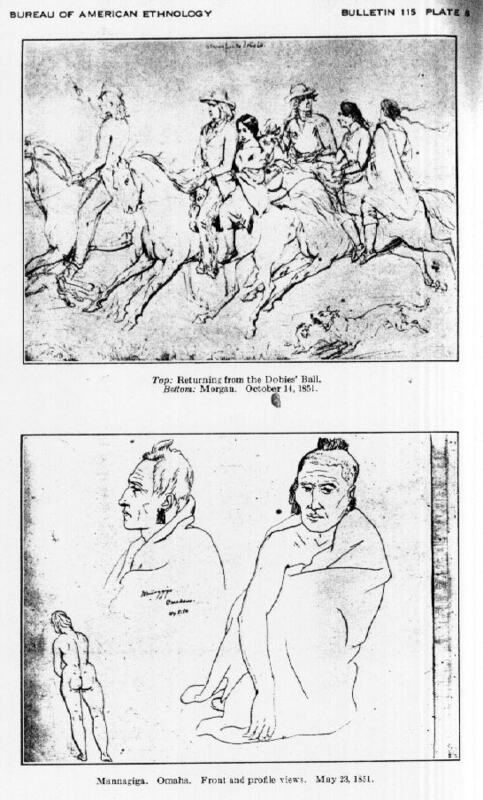 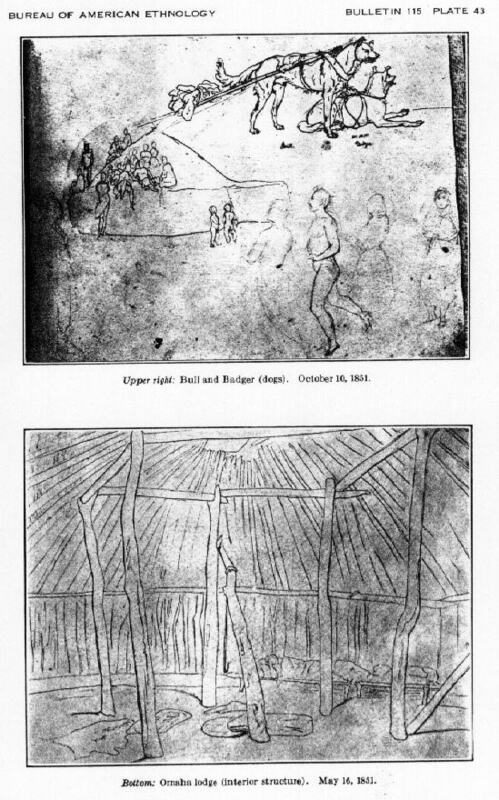 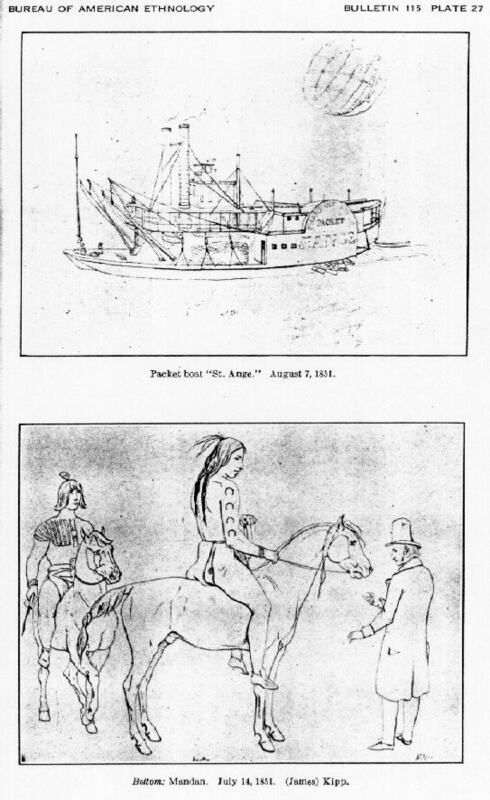 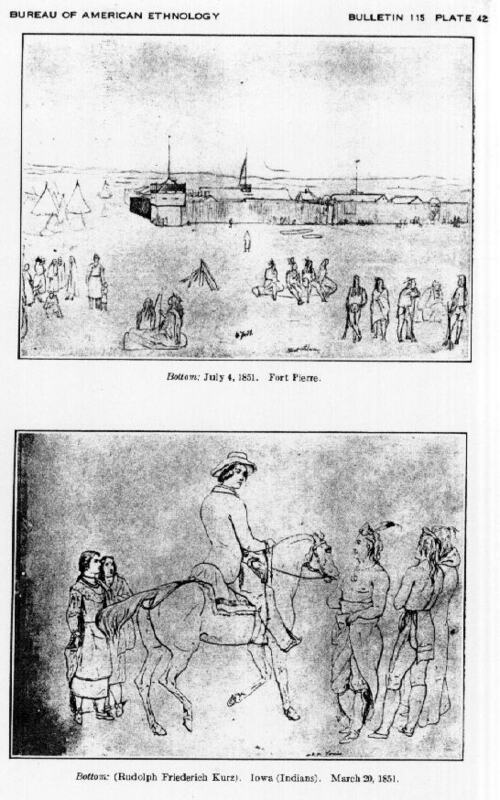 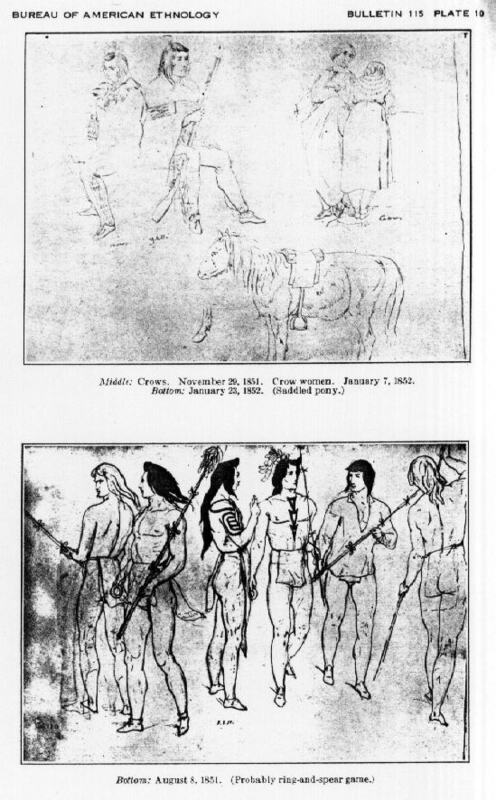 He was one of the earliest artists to record these scenes, and Kurz's sketches provide important historical details about the lives of the Indians and fur traders who inhabited this part of the American West. 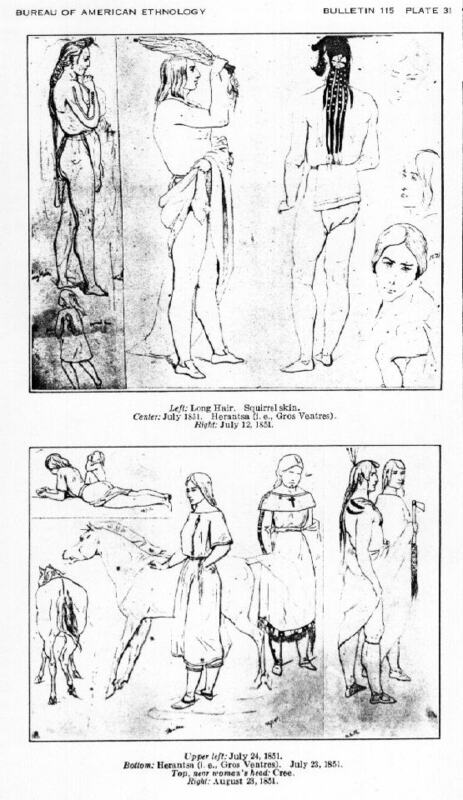 The text of Kurz's journal is not yet available in electronic format (to my knowledge), but here are the sketches. 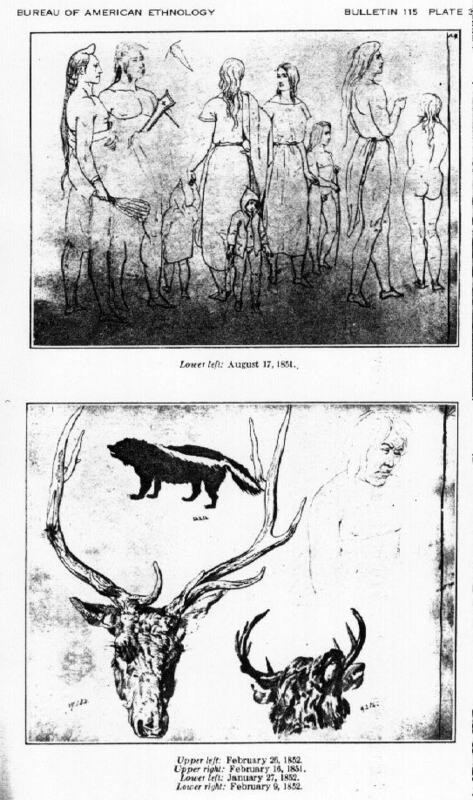 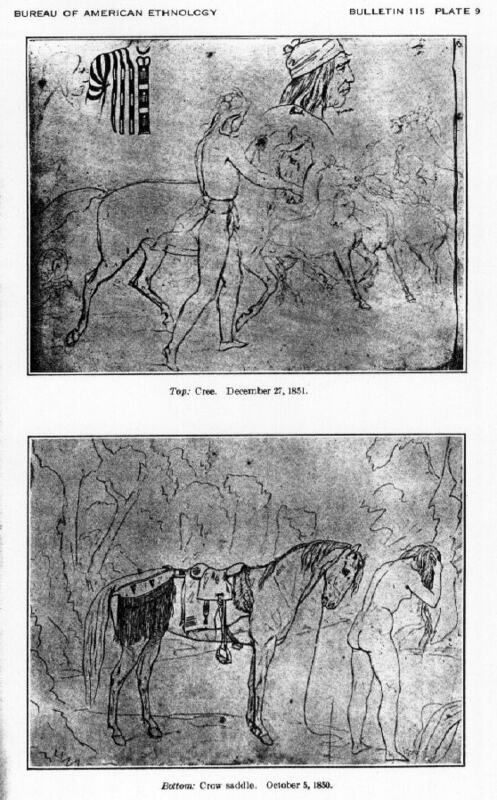 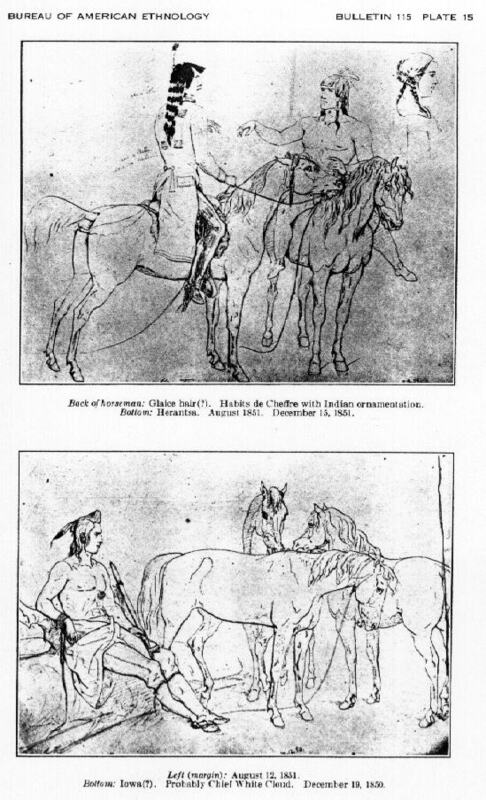 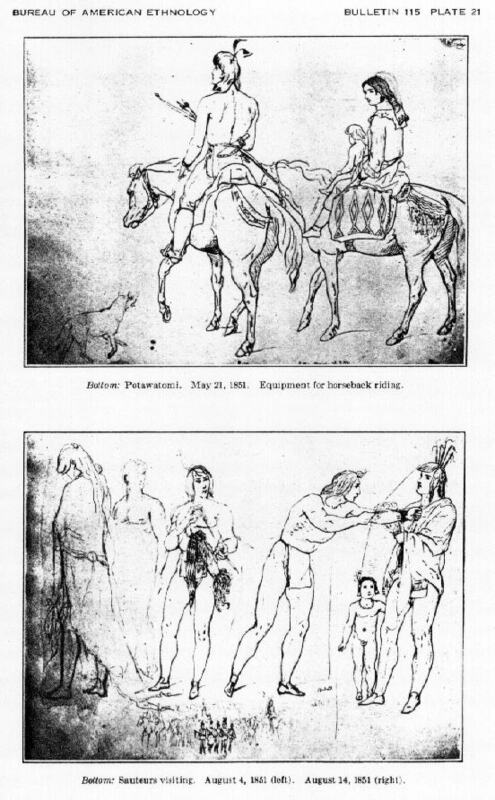 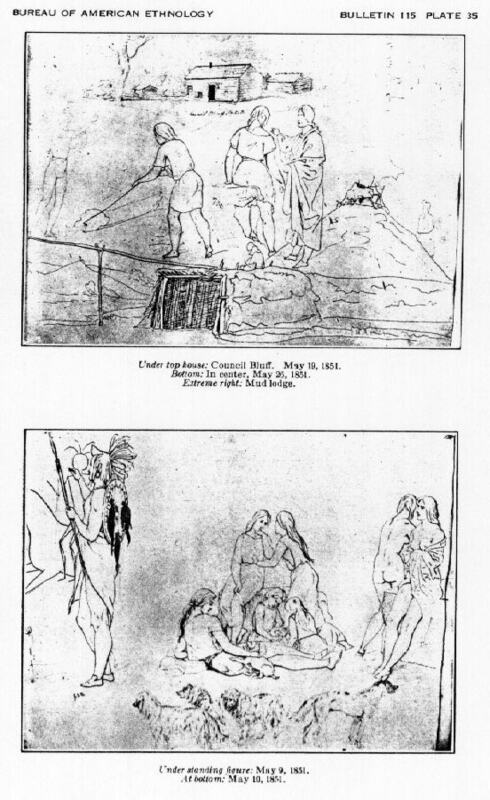 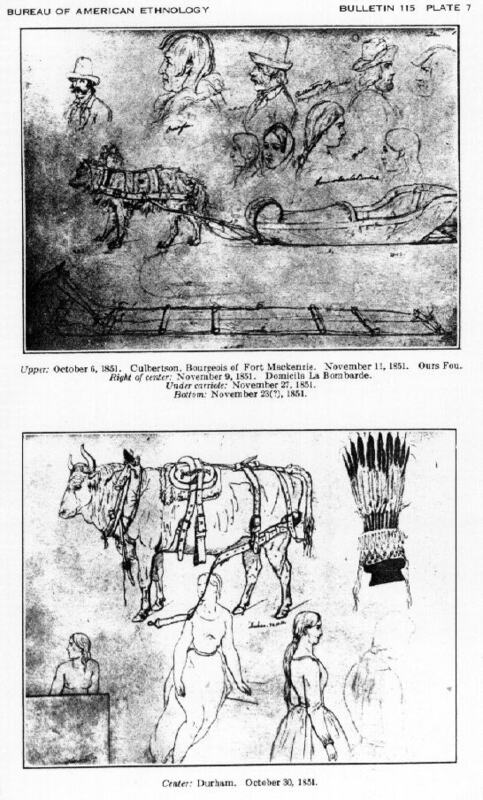 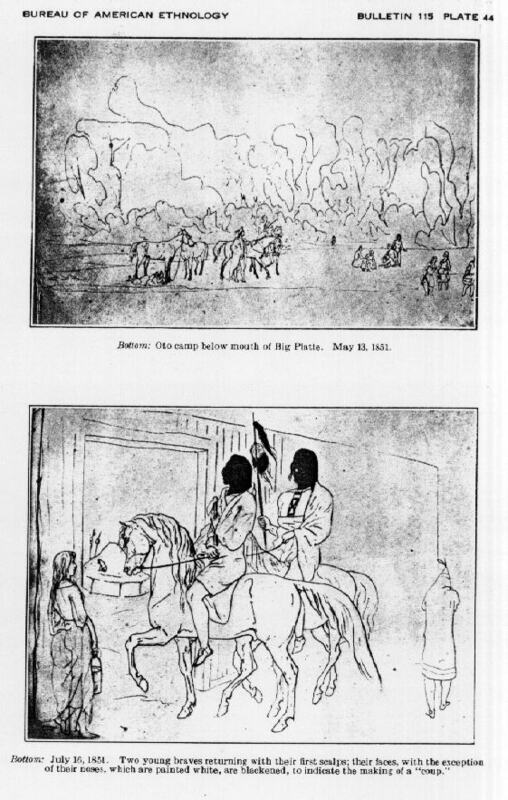 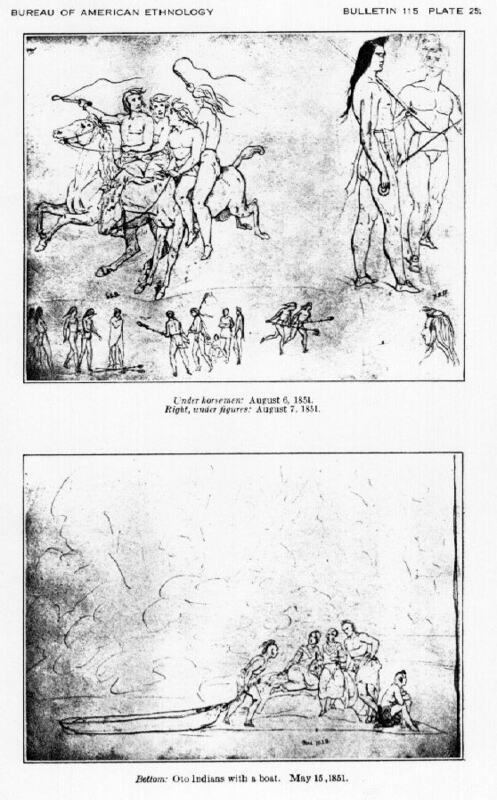 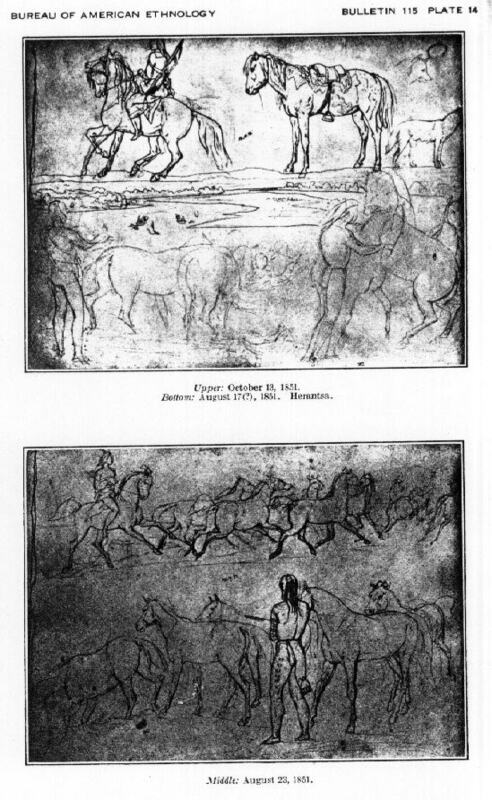 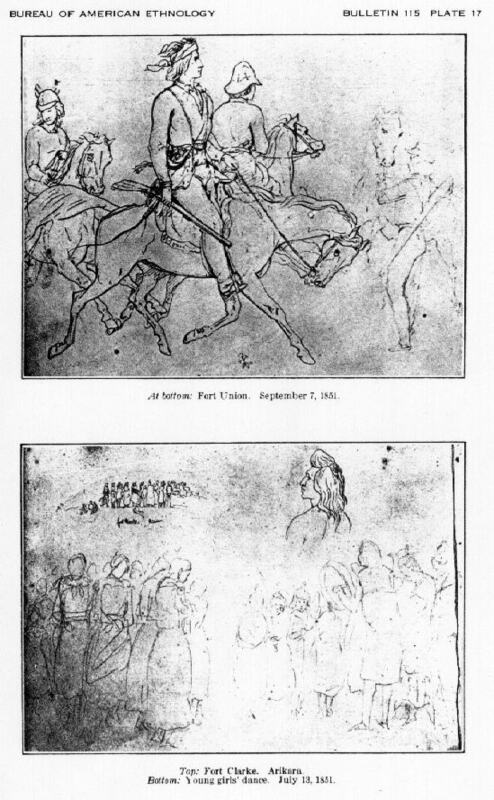 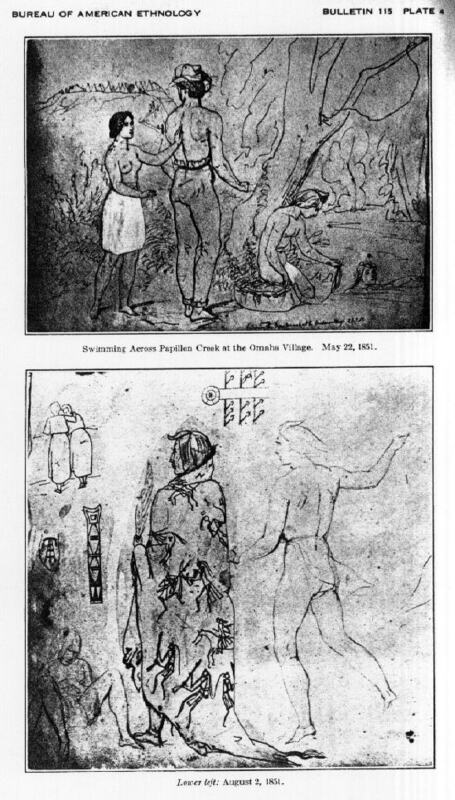 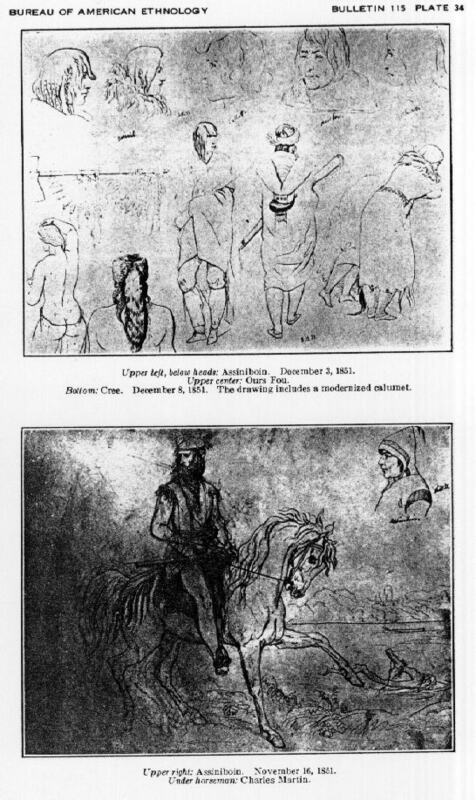 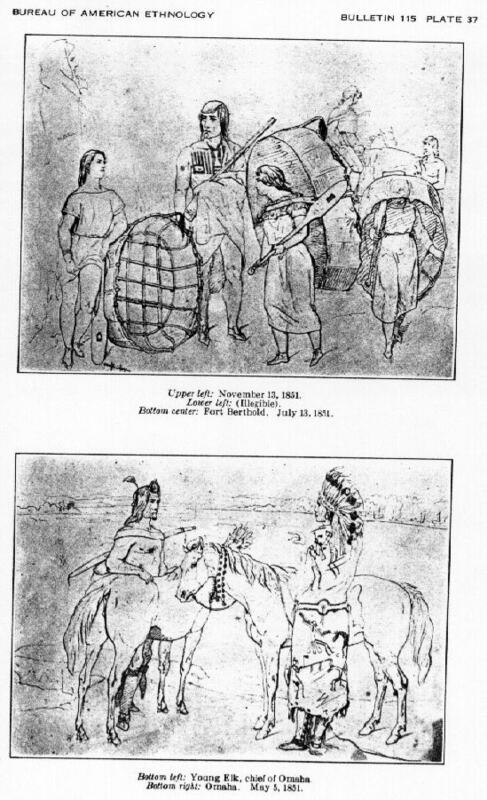 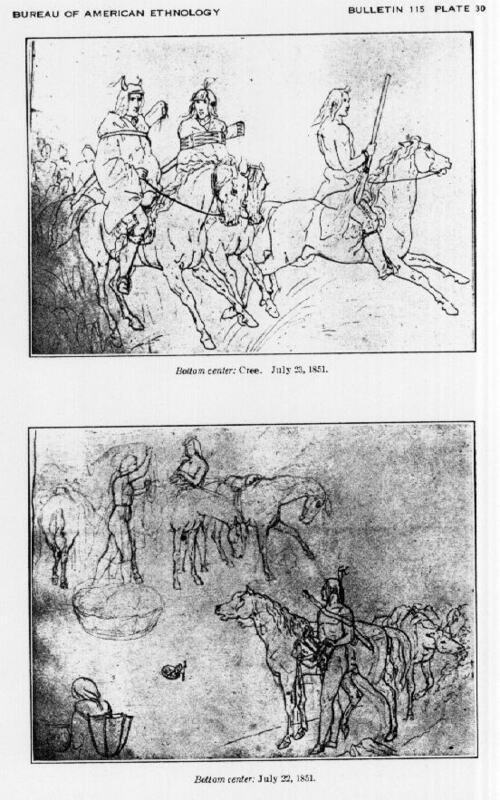 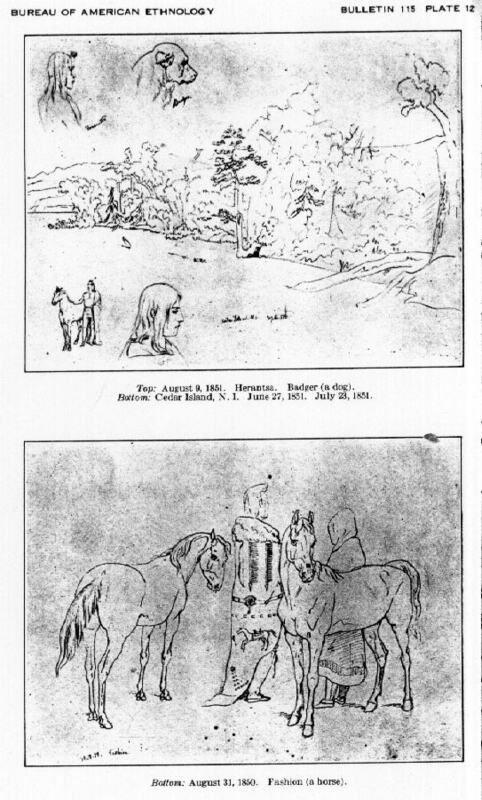 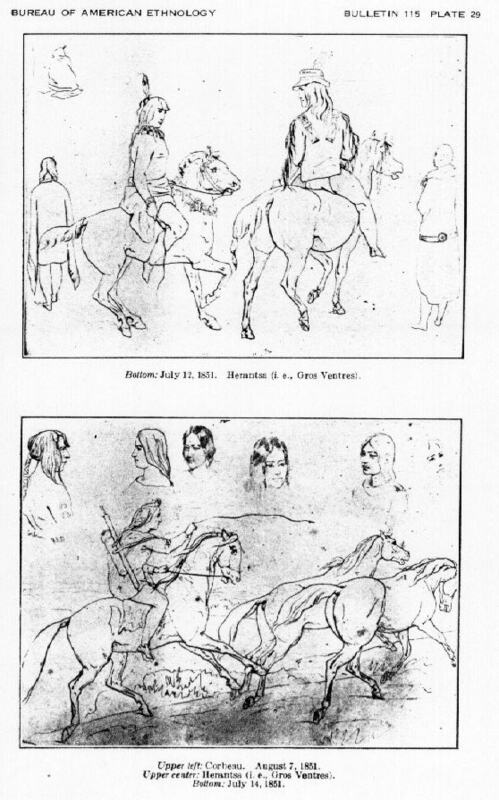 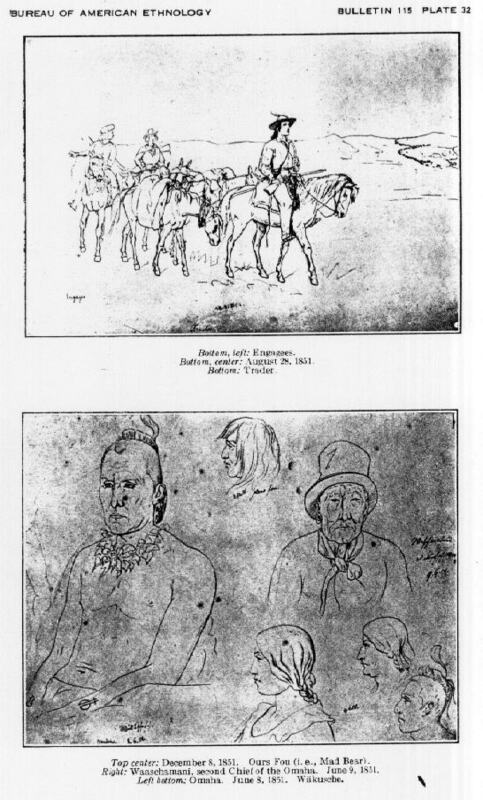 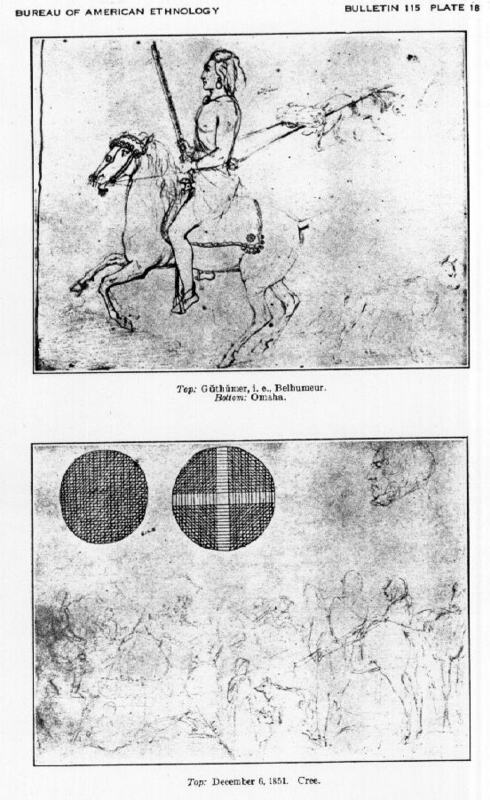 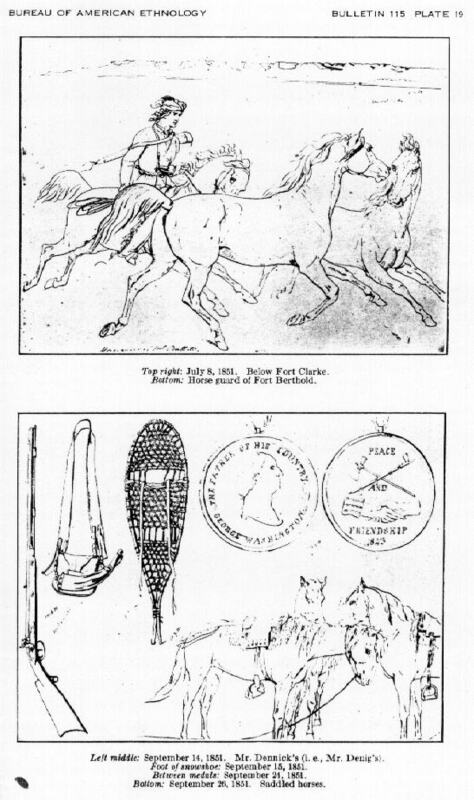 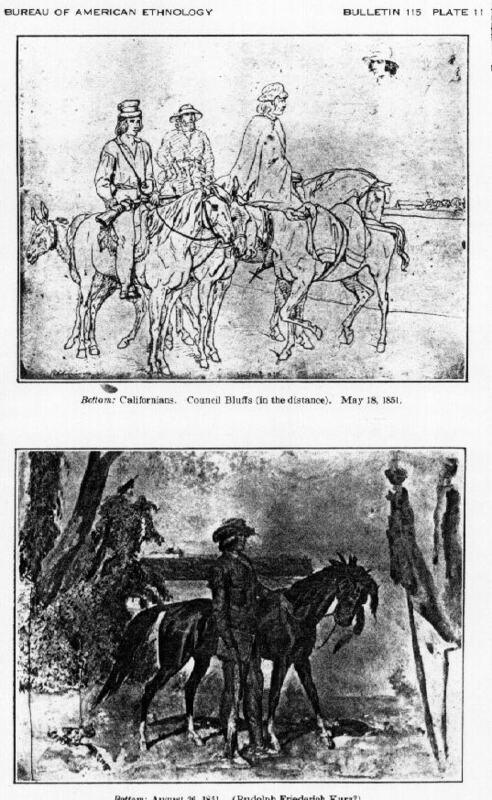 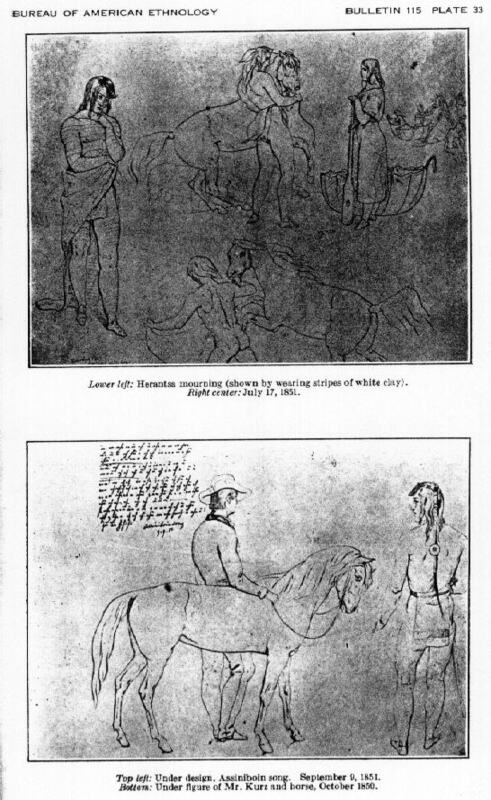 These images were scanned in from the plates in Bulletin 115.